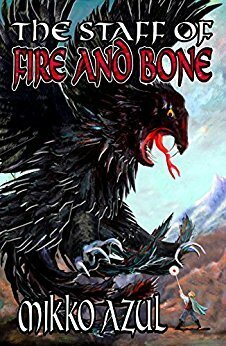 Win a Free Copy of The Staff of Fire and Bone! Enter to win a free copy of Mikko Azul's The Staff of Fire and Bone through our Goodreads Giveaway! You can enter between July 6th and July 19th. Be sure to friend Not a Pipe Publishing on Goodreads HERE so you get an update when the giveaway is starting -- and get notifications about our other giveaways coming up!